There are ravens in the tree near the restaurant. We call them crows in SA but the birds that live around Adelaide are usually little or Australian ravens. 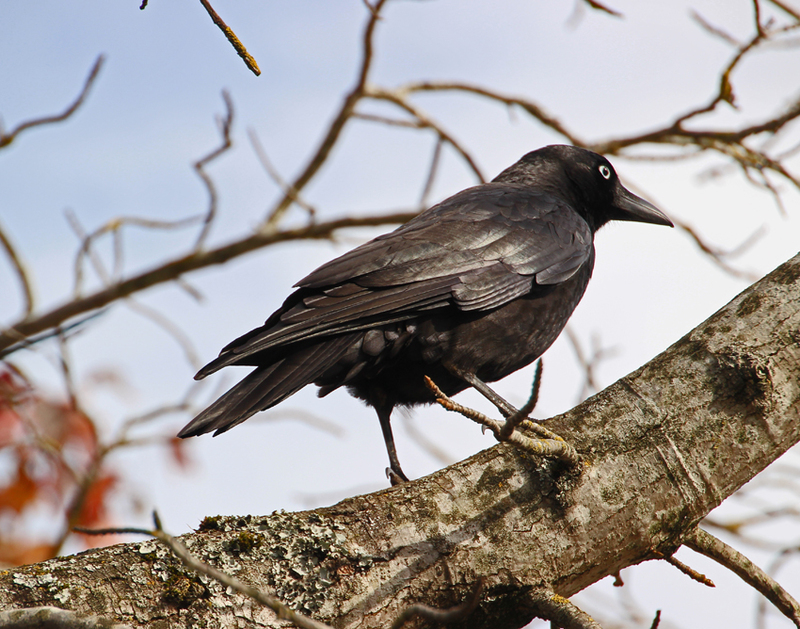 True crows are found much further north in outback regions. The birds are feeding on some autumn berries in a deciduous tree by the roadside. Every so often, one of the more adventurous gang members swoops down and reconnoitrers the outdoor tables for any tasty leftovers. 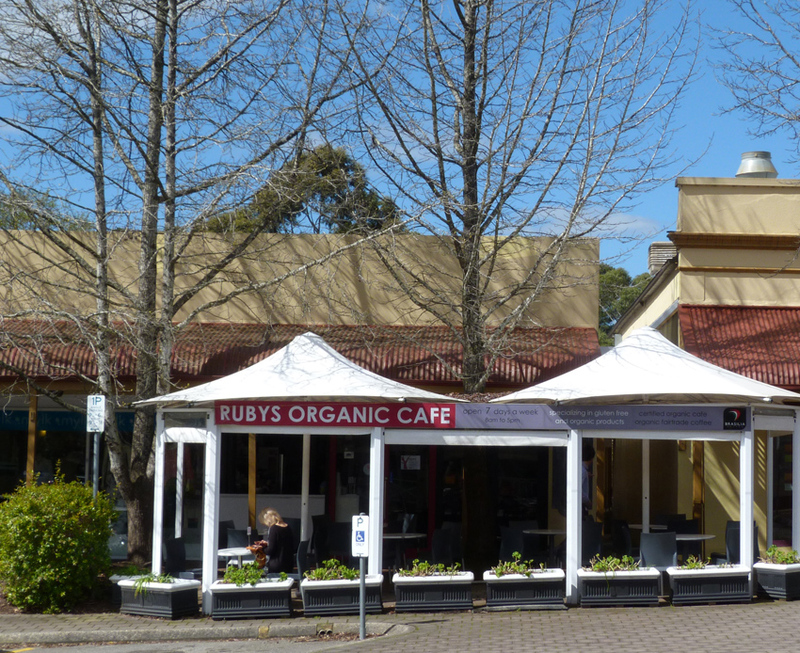 I am sitting in Rubys Organic cafe in the hills town of Stirling, a twenty minute drive from the city along the south-eastern freeway. This charming town of around 3000 people has a distinctly English feel about it. As well as native trees the town has numerous European species and the cooler climate makes it ideal for plants such as azaleas and camellias. After a healthy and delicious (gf) lunch of salmon croquettes and a pumpkin and bean salad, I drive out to the golf course on the outskirts of the town. At the end of the aptly named Golflinks road I park the car and walk into the Mt George Conservation Park. Tall stringybarks dominate this section of the walking trail which is part of Adelaide renowned Heysen Trail. Some of the trunks are blackened from earlier fires though most are still alive and bearing new growth. 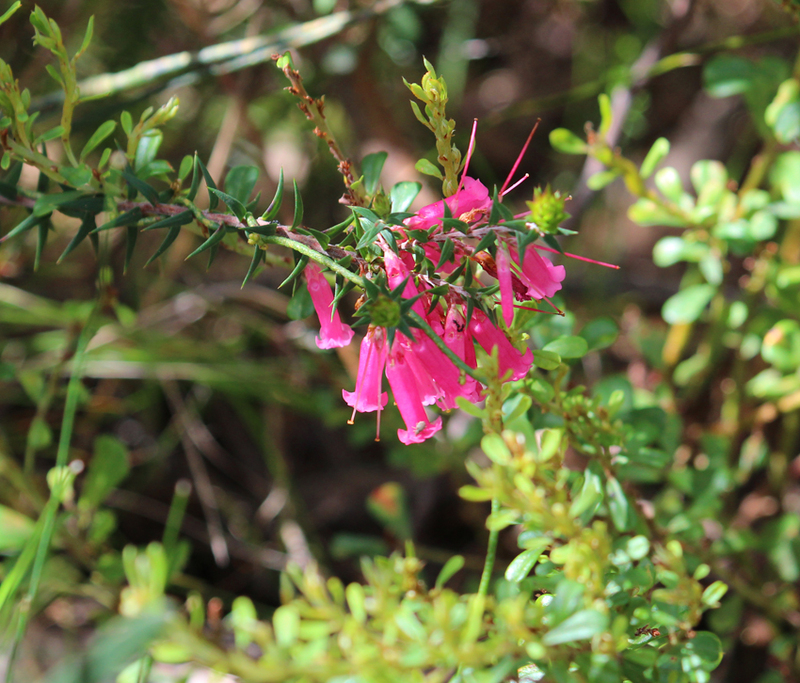 There is a proliferation of native groundcovers including heaths, grevillias and even some tiny orchids and lilies sheltered in the understory. Walking through the forest is enjoyable but most of the bird life is high in the trees and hard to photograph so I return to the car, drive back and head along Old Carey Gully Road to the Mt George turn off. At the little picnic area, pleasantly situated by a small dam, I rejoin the track which is now part of the Pioneers Womens Trail. 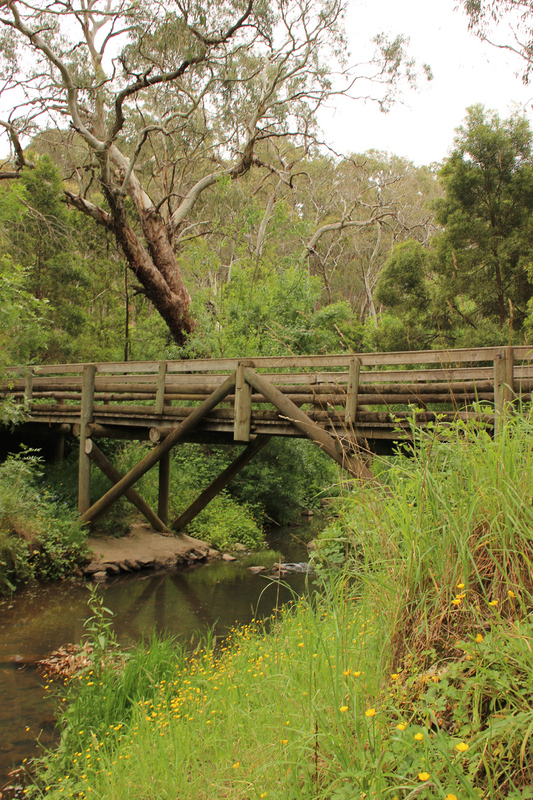 It runs over a small bridge where I pause to look into the creek bed in search of water skinks or perhaps a water rat (rakali). 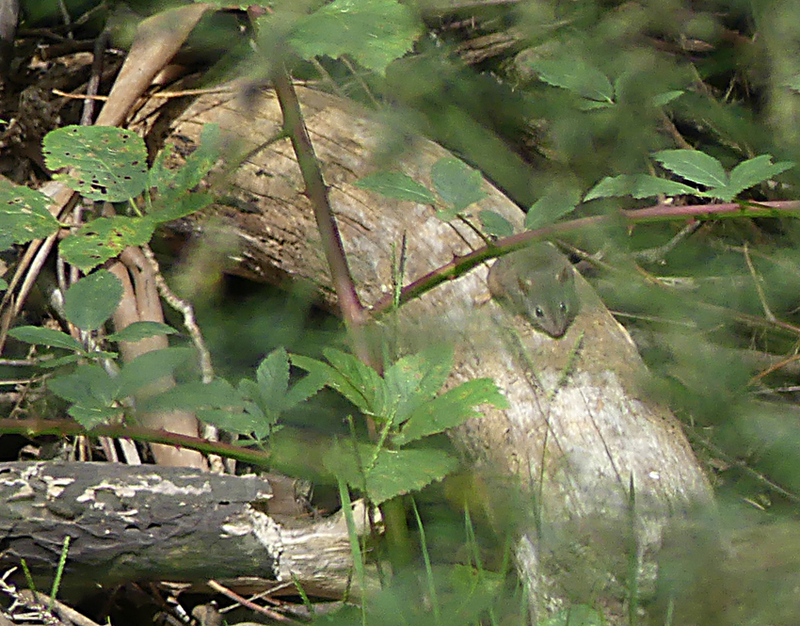 To my surprise I catch a fleeting glimpse of a small rat-like creature hopping across a pool on a fallen log. It is a southern brown bandicoot, a marsupial, not a rat at all. It pauses for a brief moment on its makeshift bridge and I take a shot. Photographically, the results are somewhat mediocre but in terms of satisfaction as a naturalist, it is a special moment. But the bandicoot is not my last marsupial. 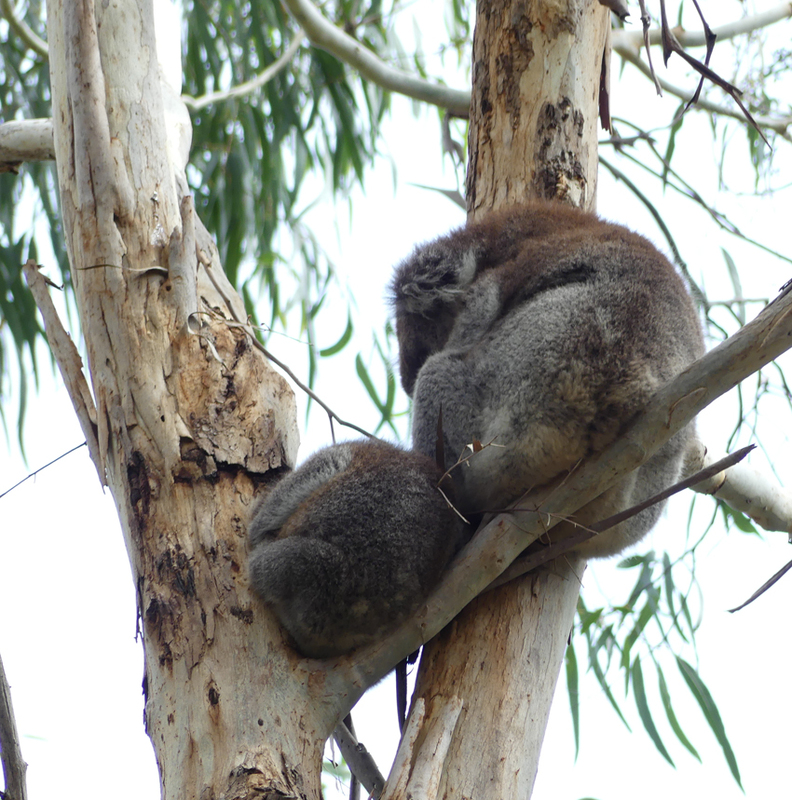 To really ‘make my day’ I spot two koalas, probably a mother and joey, perched on a slender eucalypt overhanging the creek bed. 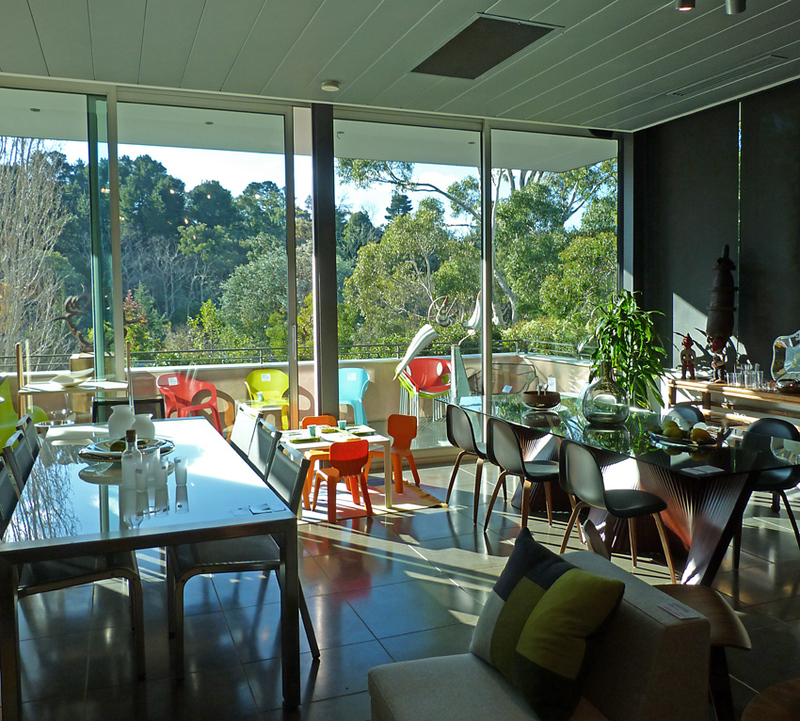 I started with lunch in Stirling and I decide to finish with a visit to Aptos Cruz; one of my favourite hills art galleries. What a beautiful way to spend the day in an area so close to our city.I have never seen a deer romping around freely in the hills…I suppose it escaped from a deer farm..perhaps there are more up that way.Also, have never seen a bandicoot in the wild…lucky hiker.The walk you describe I have done…not well known…easy on the legs and lungs…must head up that way again soon..might spot that deer again…in the forest areas of Nara Japan,they are human friendly and will eat out of your hand. Thanks Noel. 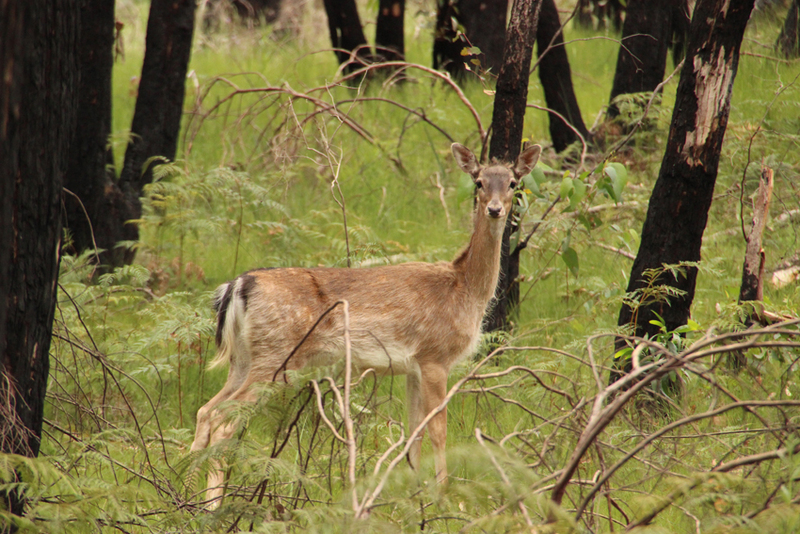 Both wildlife encounters were firsts for me – luck plays a huge part in animal sightings. A beautiful area though I do envy your time in Japan; on my wishlist! Thanks for another interesting post, I’d never have realized that was a Bandicoot, what helped you identify it? Maybe one day I’ll be lucky enough to see one.